I love that the weather gets happier and happier daily and it’s allowing me to wear my sunglasses again finally! During nice weather (and often times far into the fall as well), I wear sunglasses as much as I can get away with, many times for hours that remain atop my head as I sit at my office. They are an easy headband, and make any outfit better. They allow me to hide any tired or puffy eyes and can transform a dull look into pure chicness. But in the past I’ve been known to lose/drop/break my sunglasses every summer. So I’ve resorted to only purchasing cheap pairs from Target. And while I like my current pair (tortishell, large dark square-ish shaped lens) they seem to overpower my face at times. I need a new pair, and I’m craving a nice alternative. I long for the Ray Ban Clubmaster (red tortoise version). They are the perfect combination of style, chicness, a touch of sportiness, and flair. They would look fabulous on, and be a great headband substitute as well (which in my opinion is just as important as a sunglass’s eye protection factor). 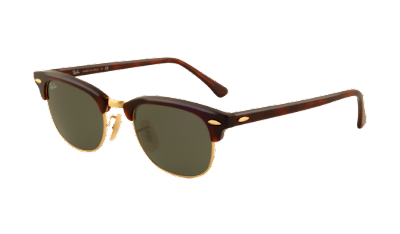 Ray Bans are popular, but I still consider them expensive ($145), especially with the risk of me losing or breaking them.